Monday night saw me back to regular training. This is the first time I’ve been able to train two days in a row and my body was still feeling it from the night before. Anyway, on with the show! The night started off with some light rolling to warm up (my favourite), and here I was able to put my guard retention drills into practice at a 50% effort pace against other blue belts in my class. Overall, it was good, no-one passed my guard during my warm up, apart from an over zealous whitebelt, who decided to go at 110% but I’ll let him off because he’s only a few weeks old. The night’s techniques focused on three sweeps from the De La Riva guard. I’m really trying to work this guard into my game, so this was a treat for me. We looked at three combo moves that we can use to bait other sweeps, which can be found in the video below! Tonight was a night of hard rolling. Firstly we started off with some situational rolling from the De La Riva guard. Then we moved onto fighting 5 minute rounds fighting our own weight class and own belt class. We then finished off the session with a 15 minute submission only round, my “war of attrition”. I was paired up with Gary, who is a two striped blue belt. The fight was back and forth, he threatened a few Kimuras, while i threatened a D’Arce choke and anaconda. Overall I was really happy with my performance tonight. 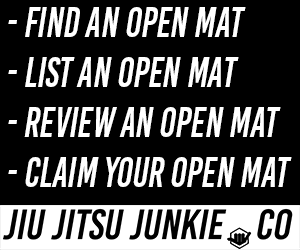 I honestly think I do better in submission only matches because it allows me to focus on my more defence style of jiu-jitsu. I think in my head, the timer and the fast pace of the 6 minute rounds makes me feel unprepared, so I need to work on my points game and short-term endurance.